In this edition of our 3D printing news digest Sliced asks the following questions. 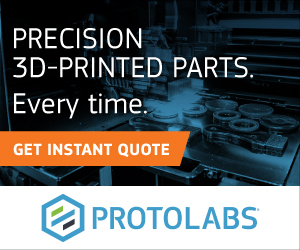 What does a major 2D printing provider want us to know about 3D printing? How is the U.S military using 3D printing? How can archaeological treasures be preserved through 3D printing? Can 3D printed implantable medical devices enhance the provision of healthcare? 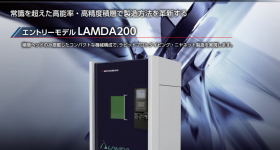 Featured in this edition are Sciaky, Sharebot, Xaar, Materialise, Stratasys, Ricoh, Xaar and Lawrence Livermore National Laboratory. 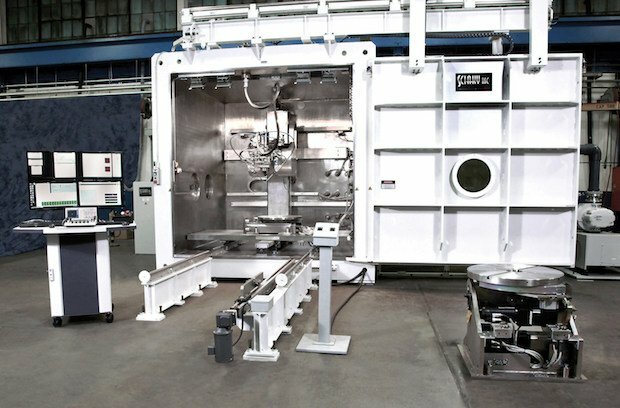 While details remain under wraps, North American manufacturer of metal 3D printing and industrial welding systems, Sciaky continues to provide additive manufacturing applications for defense and power generation programs with their Electron Beam Additive Manufacturing (EBAM) systems. The company has announced an order from the U.S defense sector – although little else is forthcoming. 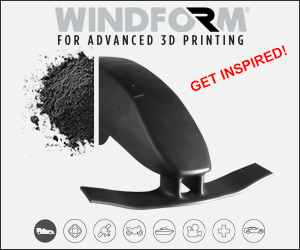 “Our EBAM process is the only industrial-grade metal 3D printing technology to produce large-scale parts for land, sea, air, and space applications,” Phillips added. 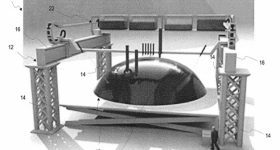 Sciaky made record sales of four EBAM systems in 2017 with customers in aerospace and defense. 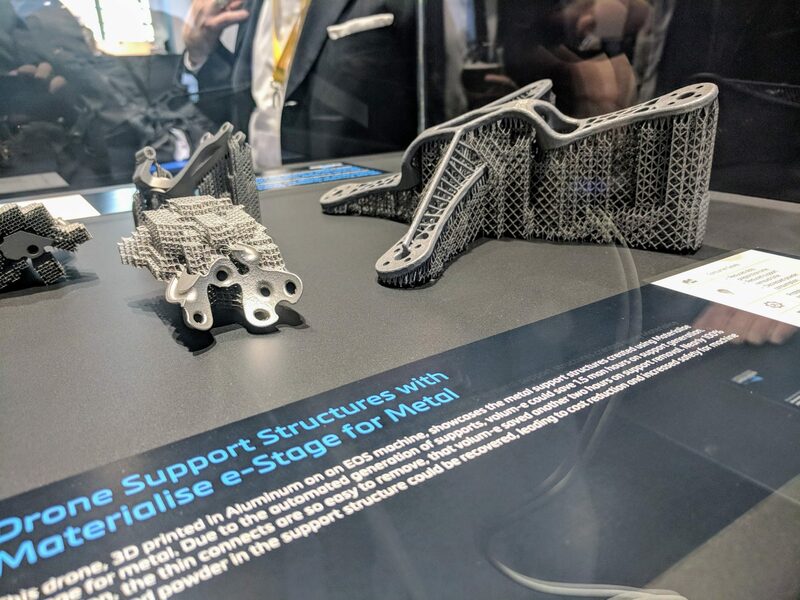 Hyundai Motor Corporation is using Additive Manufacturing software tool Materialise Streamics to improve automotive production efficiency. Prior to the introduction of Streamics, Hyundai manually updated their rapid prototyping production statuses using Excel. 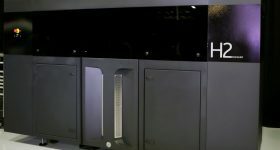 With the software from Materialise Hyundai has seen a 77% reduction in man hours for rapid prototyping workflow management. 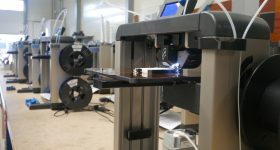 Materialise e-Stage for metal 3D printing. Photo by Michael Petch. Venture Plastics, Inc. a provider of injection molding and thermoplastic services has installed a new Nissei FNX180 injection molding machine, CreatorBot 3D Pro Series II 3D printer and a Zeiss Contura G2 CNC Coordinated Measuring Machine (CMM) to increase overall production quality within their US facilities. 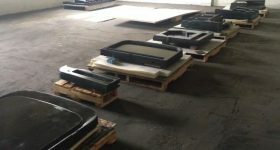 Also adding new equipment is Langhorne Carpet Company (LCC) who have substituted a core component of its carpet-manufacturing process, a Jacquard cylinder, using HP Multi Jet Fusion 3D printing technology. 3D Printed cylinder and wooden original. Photo via Langhorne Carpets. 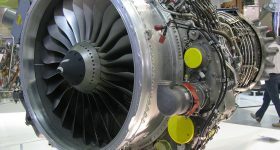 Advancing with the industrialization of 3D printing, Wipro 3D, the additive manufacturing division of international technology company Wipro has received the AS9100:2016/AS9100D Quality Certification from International Aerospace Quality Group (IAQG). Machining and manufacturing company, Imperial Machine & Tool Co., received the 2018 Regional Subcontractor of the Year for Region II, from the US Small Business Administration (SBA) for their continued exploration of manufacturing avenues including metal 3D printing. 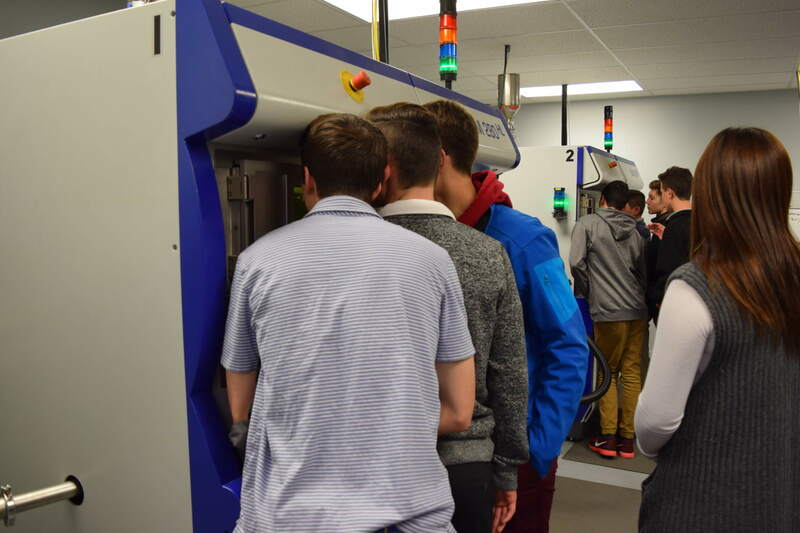 Students Captivated by Metal Additive Manufacturing. Photo via Imperial Machine and Tool Co. 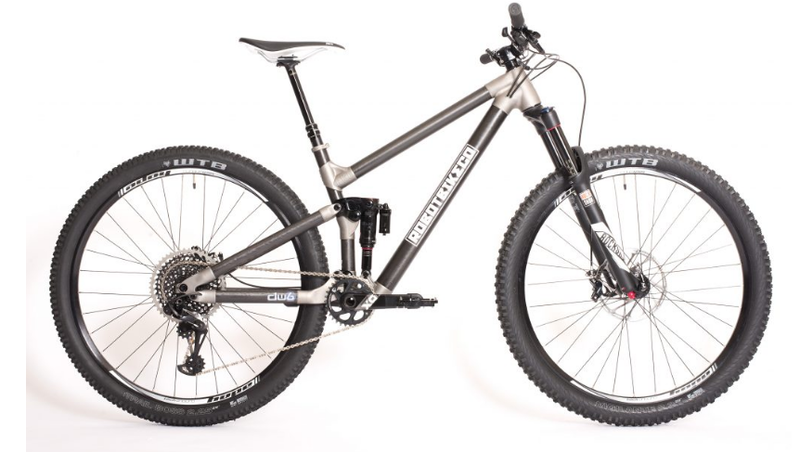 Bicycle manufacturer, Robot Bike Co. released a mountain bike made from a mix of carbon tubing and titanium lugs created using additive manufacturing. R130 Mountain bike. Photo via Robot Bike Co.
“60% of retailers are investing in 3D-printing – claiming that they are turning to more innovative ways of printing to drive competitive advantage, highlighting advantages such as reduced delivery times (83%), more delivery options (74%) and the ability to personalise products (72%). The Lawrence Livermore National Laboratory (LLNL) invites community college students to enroll in their 3D Design Summer Academy. The academy will be held from 23-27th of July, 2018 and will explore the processes and behind 2D and 3D printing. A £23 million engineering facility at Nottingham Trent University is expected to be completed within the 2019-20 academic year. The facility will include an ‘Institute of Industrial Digitalisation, Robotics and Automation’. Stratasys has announced a five-year cooperative agreement with the ACAM Aachen Center for Additive Manufacturing, affiliated with RWTH Aachen Campus, to advance education and training programs in the ACAM. 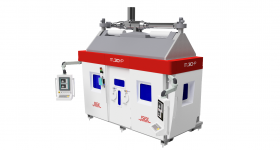 Xaar, manufacturer of world-leading piezoelectric inkjet technologies and recent winners of the 2018 3D Printing Industry Award, has appointed Stephen McLintock as their new Chief Customer Officer. 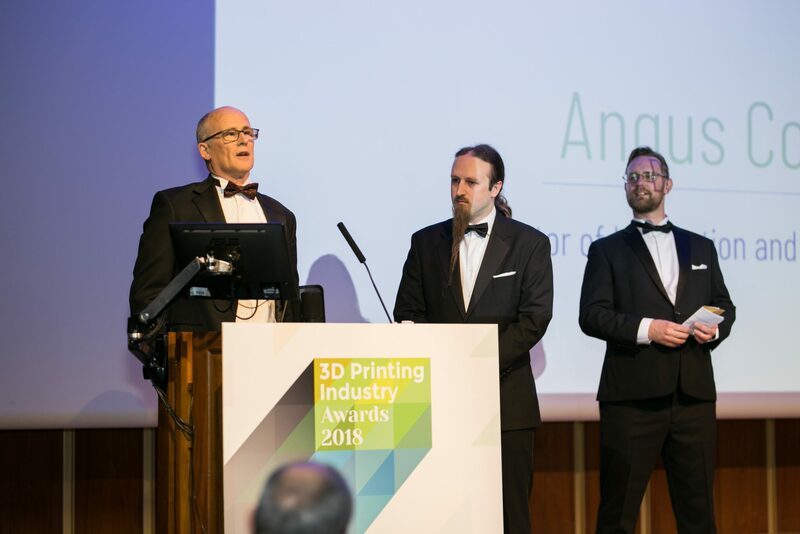 Angus Condie, Director of Integration and Applications, Xaar accepts the 2018 3D Printing Industry Award for Innovation of the Year. The Youngstown Business Incubator (YBI) and its partners received a grant of $451,300 to expand the expertise surrounding and additive manufacturing and metals casting, according to YBI CEO, Barb Ewing. In cultural news, 3D scans of archaeological wonders are now available on Google’s Arts & Culture site. This recent development intends to give accessibility and preserve historical treasures. 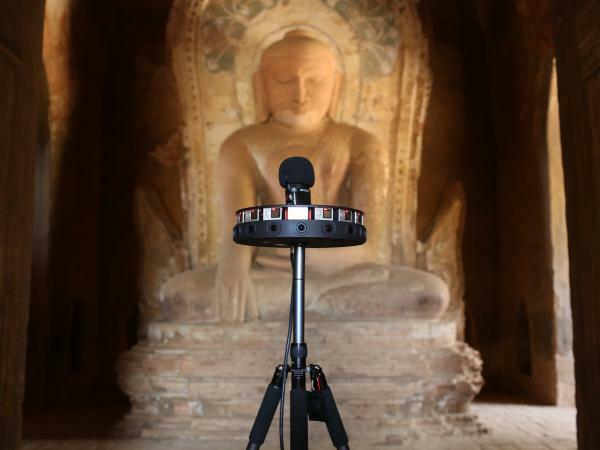 A 360-degree camera is used to document the Khe Min Ga Zedi temple in Bagan, Myanmar. Photo via Google Arts & Culture. Students from the Plymouth College of Art are exhibiting large-scale 3D designed artwork on the historic grounds of Mount Edgcumbeforthe. Their artwork includes ceramics, glass, metalwork, and 3D printed sculptures. Nanochon, manufacture of medical implants, placed first at the recent 3DHeals conference after pitching the Nanochon’s implantable medical device (IMD) made from 3D printed novel, nanostructured synthetic material that can replicate true cartilage. 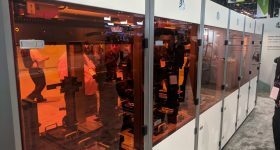 Similarly, the Industrial Technology Research Institute (ITRI) has unveiled a trial production line of 3D-printed implantable medical devices. Due to delays in funding, the Bloodhound Project, a global car engineering venture, has revised their dates for the 500 mph runs in South Africa to May 2019. The Bloodhound Q4 car. Clip via The Bloodhound Project. According to Nature Communications, researchers from the Singapore University of Technology and Design (SUTD) have developed ‘reprocessable’ thermosets that can reshape, repair, and recycle 3D printed structures. Italian 3D printer producer, Sharebot released its latest professional resin 3D printer, the Sharebot Rover. 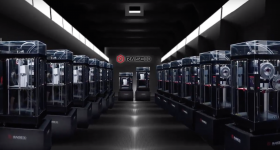 Keep up with the latest 3D printing developments as they happen. 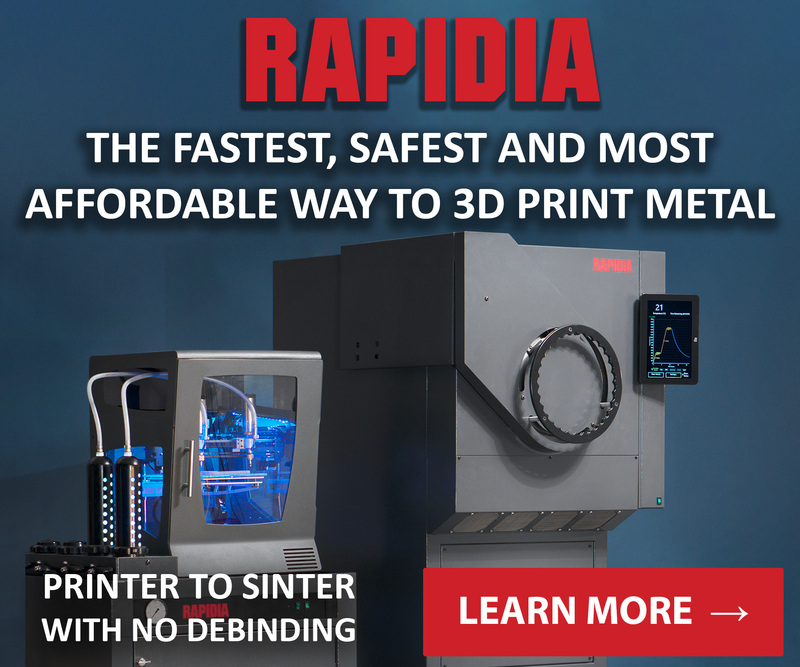 Subscribe to the 3D Printing Industry newsletter, follow us on Twitter, and like us on Facebook. Featured image show Sliced logo over the Bloodhound Super Sonic Car. Original photo via Autoexpress.